The topic of vaccination is a normal hot-button among American audiences. Ever since the apparent propaganda campaign to demonize every citizen that questioned the unethical mandatory vaccination policies of 2013, Americans have been largely untrusting of the vaccine industry as a whole, and with good reason. To think that American lawmakers would wantonly punish free citizens for using their right to choose what enters their bodies falls far below any standard of freedom in a civilized world. Further, the fact that the U.S. government imposed such fascist standards on the people while imposing virtually no health and safety standards on vaccine manufacturers goes beyond ridiculous (and seems to fall in the realm of contempt for human health). Yet these were the depths to which a number of states within the U.S. sank for the purpose of what looked to be an attempt to create more pharmaceutical customers by increasing illness among the population. 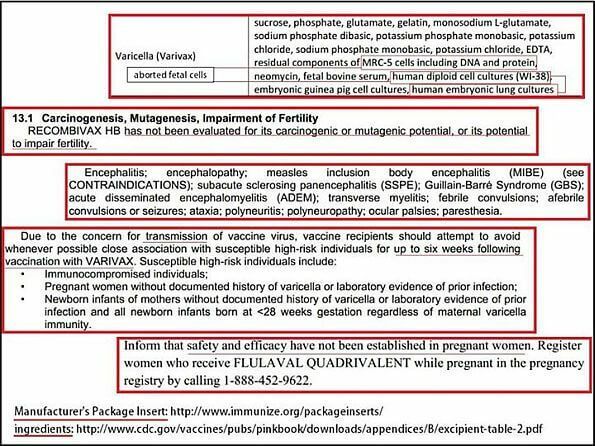 Mercury, formaldehyde, heavy metals, and animal viruses are just a few of the toxic and unnecessary ingredients included within modern American vaccines. These are substances which are medically known to be hazardous to the body. Yet not only have these ingredients been approved by the FDA, at times, they have been forced on the American public. Some of the side effects of various vaccines in the past have included dementia, autism, heavy metal poisoning, autoimmune disorders, seizures, severe allergies, and numerous illnesses and disorders following injection. Yet these effects are commonly ignored by vaccine manufacturers and are even hidden from patients, leaving the health of those receiving these vaccines up to chance. Though the dangers of these chemicals are known to many American citizens as well as government officials, seemingly no one has done anything to slow the damages of the wealthy vaccine industry. Even still, we as literate citizens have every ability to avoid these chemicals and to demand that medical professionals actually uphold their own Hippocratic oath and require that any injection we receive to be free from the harmful chemicals known to be included in vaccines. This is within our ability. However, what if it were not? What if these vaccines were forced upon people who were too impoverished and illiterate to know about the dangers vaccines can be to human health? Due to the numerous publications and official announcements in the U.S. about vaccine dangers, many Americans know better than to simply accept toxic injections such as the HPV vaccine without question. However, in impoverished regions of the world, namely within the country of India, this information remains unknown. If a vaccine manufacturer wanted to test their product and dump a load of hazardous chemicals into the veins of ignorant and impoverished women and children, the country of India might be one of the ideal places to get away with such a travesty. According to reports, this is exactly what the Gates Foundation along with a number of their affiliates did in 2009 and 2010. “While fraud and corruption are revealed on almost a daily basis now in the vaccine industry, the U.S. mainstream media continues to largely ignore such stories. Outside the U.S., however, the vaccine empires are beginning to crumble, and English versions of the news in mainstream media outlets are available via the Internet. We might find it interesting to know that even though this story is years old, there does not seem to have been any resolution for the case of the Gates Foundation. 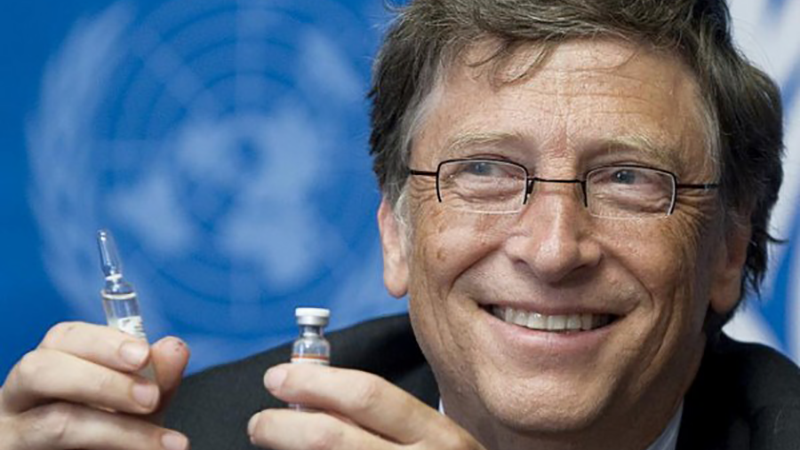 Though the National Technical Advisory Group on Immunization of India has reportedly kicked the Gates Foundation out of the country, the issues of fraud, reckless endangerment of innocents, and possible crimes against humanity have not been resolved. In the past, the nation of India has been the target of several global initiatives for depopulation, massive vaccination programs, and various other elitist-sponsored operations. Each time these programs are initiated, the proposed intent is always benevolent, philanthropic, and lauded by corporate media as being a wonderful contribution by some elitist organization. Years later, however, these programs are revealed to be extremely detrimental to the people in such gross ways that the effects are difficult to explain away as accidental. Related links - If only Half of America is Properly Vaccinated, Where are the Epidemics? Considering the fact that India has been the target of massive inhumane population reduction and sterilization programs, it may not come as a surprise to see yet another elitist-sponsored organization "accidentally" damaging the lives of thousands of women and children in this way. According to reports, the reason public figures such as Bill Gates are alleged to commit extremely unethical initiatives like this is because they consider themselves superior to all of those of the general population. This perspective can be difficult to catch, especially when the actions of these people are portrayed as philanthropic by the MSM. What is not so commonly known is the reported notion that some elitists who we would characterize as having globalist views believe that they need to be both philanthropic and ruthlessly careless at the same time. We might think of these characteristics as opposites, and they are. However, certain elitists believe that they need to embody both traits in order to be successful. According to extensive research, this belief goes back to Freemasonic tradition. We may have heard that the Masons still exist today and operate in secret, unlike pre-revolutionary America, when the Masons openly advertised their activities. Today, we still see Masonic temples. However, the level of participation which financial elitists such as Bill Gates are alleged to participate in are much more hands-on (and much darker) than the activities of the average temple-going Mason. According to sources, the Freemasons consider themselves to be the builders of not only architectural structures, but of societies as well. They believe it is they who choose when civilizations prosper and when they crumble. The goal is to always maintain power over the general population through government and political policies without the people learning what is truly happening. If this sounds similar to the well-known Bilderberg Group, there is a reason. Both of these groups have numerous similarities and according to research, they seem to have overlapping membership. It is a well known belief of the Freemasons that members must embody the traits of both benevolence and ruthless malevolence toward humanity. This is believed by this group/cult to be the key to enlightenment. At first glance, this notion may only appear as a theory. However, upon consideration, the proposition is revealed to have substance. When we consider Big Pharma, or the food industry, Big Oil, the mainstream media, and the energy industries, what do we see? We see companies that treat illness while at the same time, they cause untold amounts of suffering and death. They also cause addiction and detrimental effects from harmful drugs and vaccines. We see food companies adding actual poisons to their products in plain sight with no consequence from any government or regulatory body (at least in the West). We have massive transportation and energy industries that fuel the world's productivity and yet these industries deliberately use pre-19th century technology that pollutes, destroys forests, oceans, and air quality while filling the environment with waste materials that will never biodegrade. These industries also thrive on child labor and slavery simply to make a profit, yet these companies receive little to no consequence from governments or regulatory commissions. We also have a mainstream media that keeps us up to date with various world events, and yet at the same time, these same media companies lie and sell half-truths for a living. They offer a never-ending stream of corporately sponsored propaganda designed to make audiences agreeable to the two-faced system which both sustains and destroys everyone and everything under it. The entire system is multi-layered and is interwoven with the elitists which have sustained it ever since its inception. Naturally, this system is designed to sustain itself no matter the cost. It cannot be criticized without immediate reprisal, cannot be questioned without attacking those who question it, and cannot be overcome without its entire structure collapsing. This is why we see a media that maintains the story that Bill Gates is only a philanthropist who wants what is best for the people and the world. We now see the likelihood that the world we have been brought up to know is not as we were taught. This apparent twisted and destructive substitution for a functional and healthy society is far less than what it could be. Upon initial consideration, we may see the problems of the world as accidental and inescapable conditions of humanity. However, when we look closer, we may begin to see that this is not at all the case. In closing, let's see if we can find actual evidence of these notions we have discussed. George Soros is one of the most notorious elitists of the world. This man is a prime example of people whom the general population is not allowed to criticize, and according to his own testimony, Soros shares the idea that a person must be both benevolent and cold/careless when it comes to the people affected by their actions. In this interview, we can see a prime example of this coldness toward humanity as Soros recounts his participation in Nazi operations during the Holocaust. Upon hearing this testimony from his own mouth, we might wonder why certain public figures and celebrities are punished for acknowledging the fact.